Lausanne, Switzerland, January 31, 2019 – Some immense clashes are coming up this year as the very tight Olympic qualification process begins with the Intercontinental Olympic Qualification Tournaments set to provide incredible thrills for volleyball fans across the world as teams battle it out to make Tokyo 2020, the ultimate sporting event of the globe. The six four-team round-robin women’s pools will be held 2-4 August, with only the top team advancing to Tokyo 2020. The men’s pools will follow 9-11 August. With only twelve berths available per gender (and one already grabbed automatically by hosts Japan), the race promises to be extremely tough with no team affording to lose a single match in the process. Probably the most anticipated confrontation will be that between two of the 2018 FIVB Volleyball Women’s World Championship semifinalists, Italy and the Netherlands – only one of each can directly advance to Tokyo 2020 – though the loser would get a second chance through the Continental qualifiers – when Italy host their opponents alongside Belgium and Kenya in Pool F.
The two didn’t actually meet in the World Championship, but Italy went on to claim silver after losing to Serbia in five dramatic sets in the final and the Dutch lost out on the bronze after falling to China in three. Last time they came head-to-head was in the 2018 FIVB Volleyball Nations League, with Italy edging the Dutch in five sets at Rotterdam. Last time around in the Olympics Italy bowed out after pool play while the Netherlands went on to finish fourth after losing in four sets to USA at Rio 2016. Neither have won any medals at the Olympic Games. 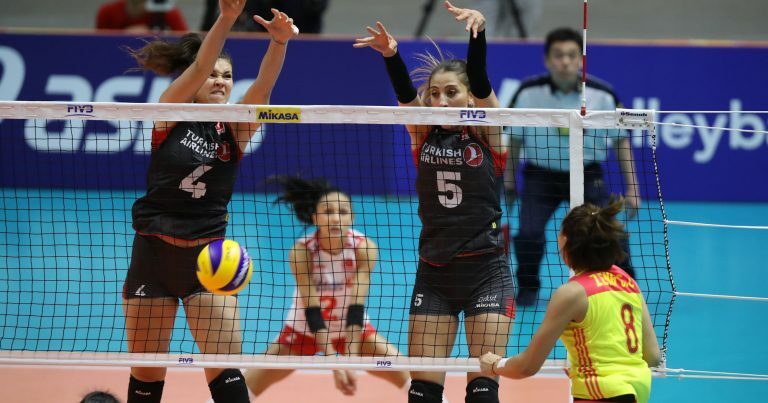 Meanwhile, reigning Olympic champions China will have to overcome the obstacle of Turkey when the Asians host the Balkan side in Pool B along with Germany and the Czech Republic. 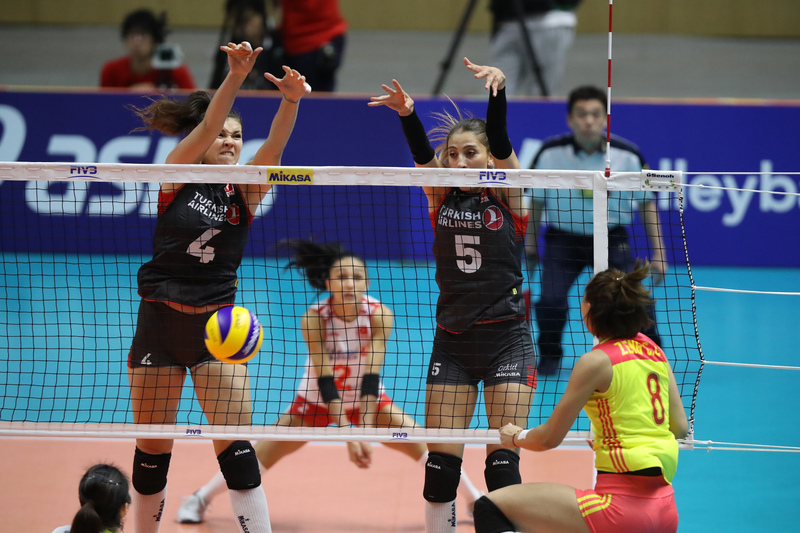 Turkey and China both finished on the podium last year at the inaugural VNL, claiming silver and bronze respectively. Also to look out for is the clash between reigning World Champions Serbia and 2022 FIVB World Championship co-hosts Poland, who meet in Poland along with Puerto Rico and Thailand in Pool A. Standing out in the men’s competition is another huge Italian challenge, when the Rio 2016 silver medallists host 2018 World Championship semifinalists Serbia, together with Australia and Cameroon in Pool C.
The two last met in the 3rd Round of the 2018 World Championship in Turin, when Serbia prevailed in straight sets and knocked Italy out of the medals matches (themselves going on to finish fourth). At Olympic level Serbia have won bronze in Atlanta 1996 followed by gold in Sydney 2000 (both as Yugoslavia), while Italy were bronze medallists in Los Angeles 1984, Sydney 2000 and London 2012, and silver medallists in Atlanta 1996, Athens 2004 and Rio 2016. Just as immense is the battle of Pool D, when world champions Poland host France alongside Slovenia and Tunisia. Poland and France were both in the Final Six of the 2018 VNL at Lille – though they didn’t meet there, after Poland bowed out early. Last time they came head-to-head was in Round 2 of the World Championship with France prevailing 3-1 at Varna. The full Olympic lineup of 12 teams per gender for Tokyo 2020 will be completed after the Continental Olympic Qualification Tournaments in January 2020 to advance one team each from Africa, Asia, Europe, North & Central America and Caribbean, and South America. The volleyball competition at Tokyo 2020 begins on Saturday 25 July, with the men’s medals matches on Saturday 8 August, followed by the women’s medals games on Sunday 9 August. All matches are to be held at the newly-built Ariake Arena in the Japanese capital.